Celebrate the distinctive flavors of Thailand through the eyes of an award-winning chef. Transformative Retreats. 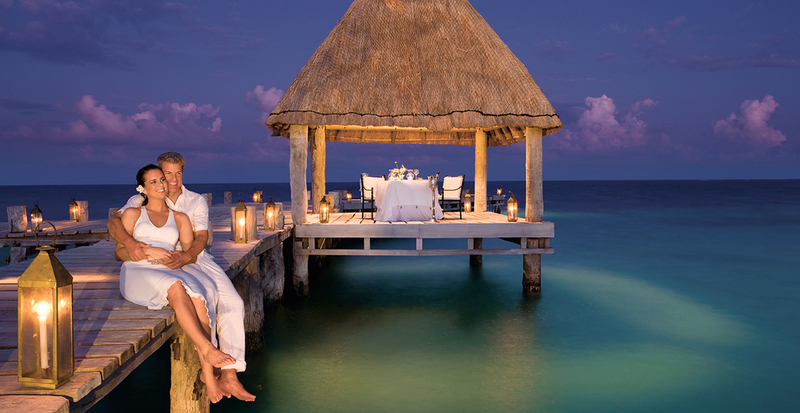 Treat yourself — and help protect the environment around you — at these luxury eco-resorts. Bienvenidos! Uncover the colorful culture of this island nation. Find extraordinary sights as you explore in, over and below Mexico's Sea of Cortez. Invigorate your lungs with pristine air on a journey through endless outdoor wonders. A National Geographic photographer and leader for Lindblad Expeditions shares his insight on putting photo-worthy perspectives in focus. Silversea Cruises brings you up-close to the wonders of the world’s southernmost continent. Fine living and immersive exploration are the hallmarks of Uniworld Boutique River Cruise Collection. From dynamic cities to blissful islands, discover truly unique places to stay and create new memories. Treat yourself — and help protect the environment around you — at these luxury eco-resorts. From Wyoming’s grand national parks to a once-in-a-lifetime journey to the heart of Thailand, we’ll create the eco-friendly vacation you desire. Just click the button below and read on for more inspiration. 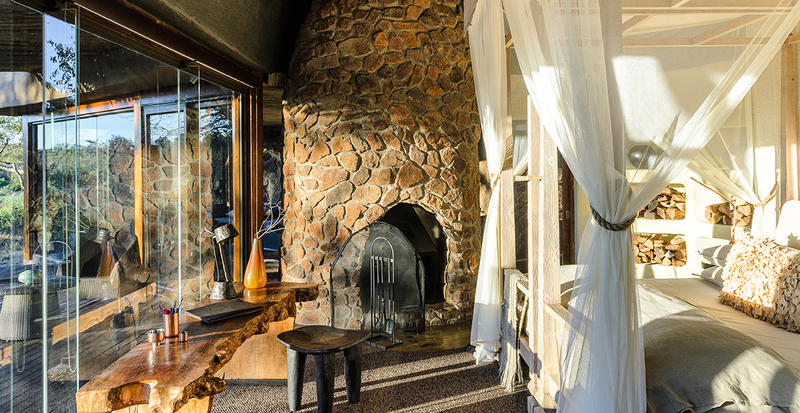 Rustic mountain lodge comfort meets upscale elegance at Hotel Terra Jackson in Wyoming. 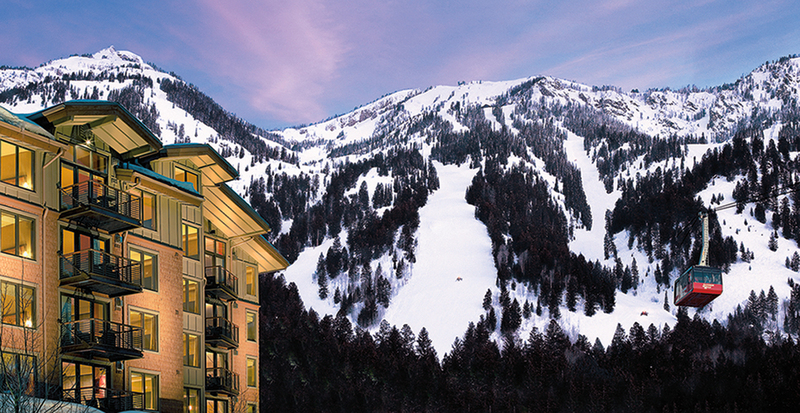 Located just beyond the splendor of Grand Teton National Park, nature permeates this LEED silver-certified resort. After conquering Jackson Hole’s legendary ski slopes or biking single-track trails, indulge in a facial scrub made from arctic berries at Chill Spa. Built from the ground up with recycled materials, this property has eco-friendly initiatives throughout, including native landscaping, organic beds and linens, and water stations to refill complimentary aluminum water bottles. 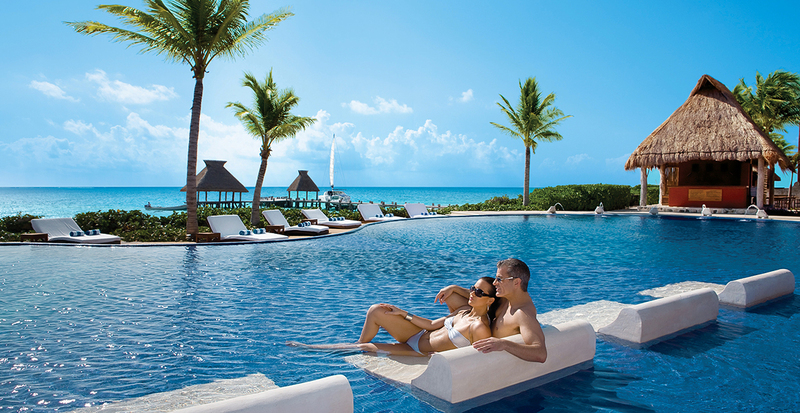 There is a reason that Zoëtry Paraiso de la Bonita Riviera Maya sits on such a blissful stretch of land: the resort is at the forefront of beach cleanups every 15 days and coral reef conservation. Reap all of the benefits of these efforts as you perform sun salutations in a beach yoga session and cleanse your spirit in a heated Temezcal ritual. A complimentary 50-minute spa treatment at Thalasso Center & Spa further enhances the connection between nature and self. 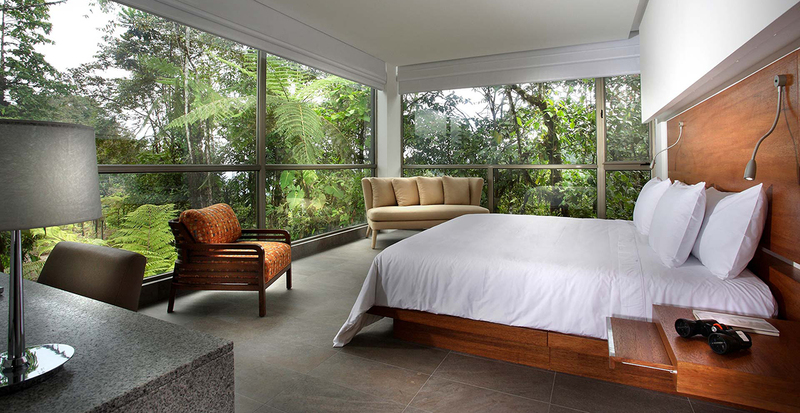 Few resorts are as deeply tied to their surroundings as Mashpi Lodge, tucked in the heart of an Ecuadorian cloud forest. 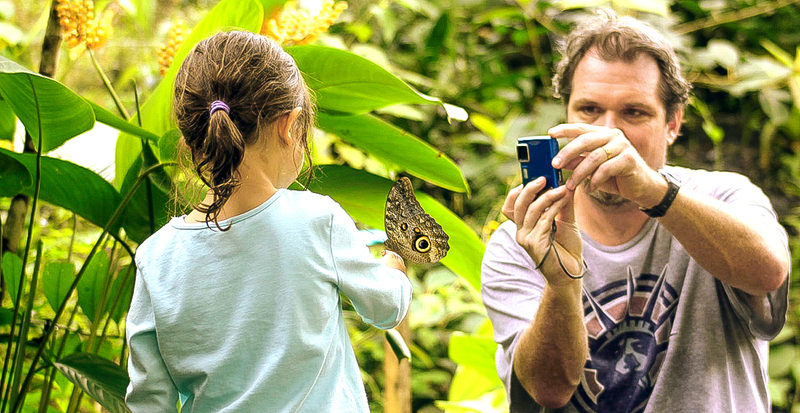 Standing 3,117 feet above sea level, you’ll peer through floor-to-ceiling windows into a mist-shrouded forest where howler monkeys echo from tree branches and brilliantly colored frogs lurk within. 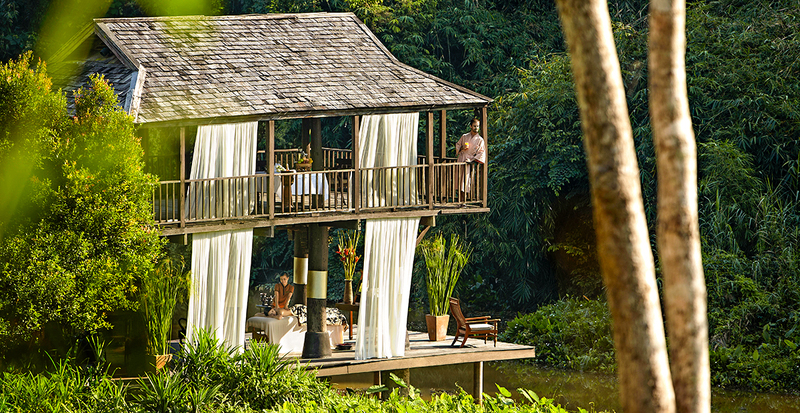 Find matchless moments as you swing like Tarzan in the forest canopy and experience locally inspired cuisine such as a rack of lamb with forest herbs and Ecuadorian root vegetables. As a pioneer in conservation efforts, Singita is responsible for the protection of a million acres in Africa. 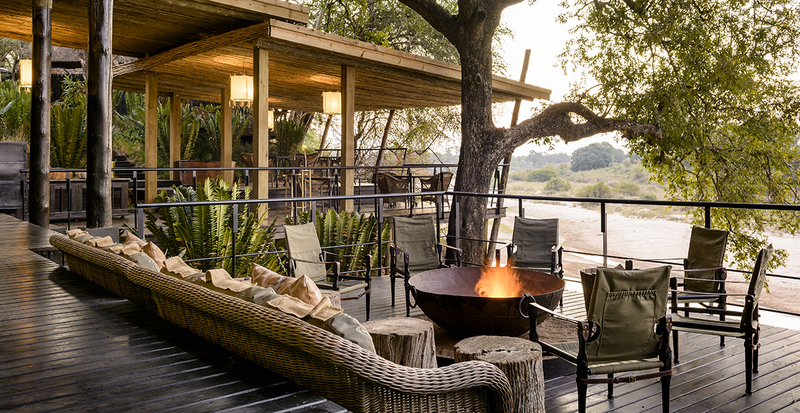 Singita Ebony & Boulders Lodges bring the treasures of the Sabi Sand Game Reserve to you. A complimentary spa treatment and meals overlooking the wildlife-rich Sand River round out your experience. Alternatively, whether you choose an elegant cottage, lodge or luxurious tented camp, your stay at Singita Grumeti, adjacent to Serengeti National Park, is equally rewarding. Relax with a complimentary spa treatment after a day of game viewing and marvel over the sight of wildlife strutting past your terrace or gathering at the nearby watering hole. Pair the extraordinary beauty in the forests of northern Thailand with enriching education at an elephant conservation camp. In the opulent surroundings in this Chiang Rai resort, take a Thai cooking class, relax at the Antantara Spa and explore the fabled Golden Triangle region. You'll also meet the on-site "Director of Elephants" who shares insights on elephant conservation. Spend a day following in the footsteps of a mahout to learn how they care for and protect these majestic creatures, or simply join them on a stroll through the forest. Nature meets luxury in ecological resorts around the world, yet it’s a deep sense of dedication that puts these retreats a step above. Let us create a responsible travel experience that fulfills your desire to preserve our environment while you enjoy an immersive and indulgent stay. We’ll find the eco-resort that matches your sense of adventure. Contact us today.